Winter isn’t usually a brides ideal time to get married, but there are so many reasons why we love winter weddings that it was hard to pick just five! If you aren’t sure when to hold your wedding, check out why we think a winter wedding is not only elegant, but festive and magical. Not only will most vendors, suppliers and reception halls be available for any winter date you are thinking of, you’ll likely get a great price reduction as well. The winter months are a great option for the couple that is on a budget, but even if you aren’t, saving a little money by picking a wedding date in December, January or February will give you even more to spend on other things. Think crystals, bare trees covered in ice and snow and even snowflakes. Place holders could be made out of a pinecone with a piece of sparkly paper with your guests name on it. Use lighting to your advantage and even add some blue lights to make everything feel like a warm ice palace. 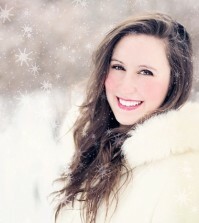 Remember to think warm: there are so many choices when it comes to winter bridal accessories! Capes, faux fur stoles, hand warmers, gloves and so much more immediately come to mind as the perfect accent for a winter bride. It’s true! 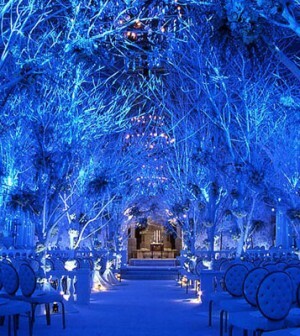 You don’t have to think just blue or black for a winter wedding; any color palette works! Whether you want to keep with the winter theme and use black as a standout amongst white and cream colors and crystals, or heat everything up with a gorgeous red, the choices are completely up to you. Serving (and eating!) comfort foods at your wedding will never feel so right! Your bar could offer after eight hot chocolate (that’s a hot chocolate with a shot of creme de menthe, topped with whipped cream!) and you could think about serving a creamy soup or stew, lasagna, shepard’s pie or casserole. Ready to start planning your winter wedding? Head on over to Best For Bride and check out the wealth of winter accessories we have, as well as bridal dresses and more!